Ekhart Tolle's message is simple: living in the now is the truest path to happiness and enlightenment. This message may not seem stunningly original or fresh but Tolle's clear writing, supportive voice and enthusiasm make this an excellent manual for anyone who's ever wondered what exactly "living in the now" means. Tolle is a world-class teacher, able to explain complicated concepts in concrete language. More importantly, within a chapter of reading this book, readers are already holding the world in a different container--more conscious of how thoughts and emotions get in the way of their ability to live in genuine peace and happiness. 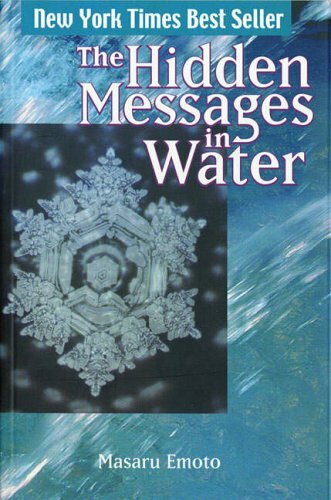 "The Hidden Messages in Water" is an eye-opening theory showing how water is deeply connected to our individual and collective consciousness. Drawing from his own research, scientific researcher, healer, and popular lecturer Dr Masaru Emoto describes the ability of water to absorb, hold and even retransmit human feelings and emotions. He found that water from clear springs and water exposed to loving words shows brilliant, complex, and colorful snowflake patterns, while polluted water and water exposed to negative thoughts forms incomplete, asymmetrical patterns with dull colors. Emoto believes that since people are 70 per cent water, and the Earth is 70 per cent water, we can heal our planet and ourselves by consciously expressing love and goodwill. While in deep hypnosis, 29 patients of the author, Dr. Michael Newton, describe their hidden memories of the hereafter, including what has happened to them between their former reincarnations on earth. They reveal how it feels to die, who meets us after death, and what the spirit world is like. Featuring seven case histories of real people who were regressed into their lives between lives, this text discusses the mystery of life in the herafter. New and intriguing experiences from the author of Journey of Souls. The renowned channeler Barbara Marciniak shares the wisdom she has gained by channelling multidimensional beings from the Pleides star system since 1988, sharing her insights into power, love, fear, desire, sexual intimacy, creativity, and health. 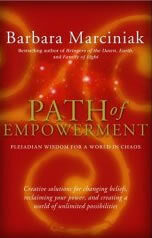 The Path of Empowerment is an enlightening read. 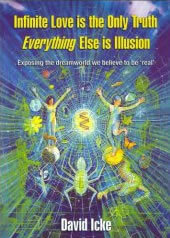 This is David Icke's latest masterpiece with the full title Infinite Love is the Only Truth, Everything Else is Illusion - Exposing the dreamworld we believe to be real (2005). Never before has a book explained with such clarity why 'physical' reality is merely an illusion that only exists in our brain. Why the 'world' is a virtual reality game that only exists because we believe it does. Fantastic? Sure it is. But David Icke's information, presented in a way that everyone can understand, is a life-changing exposure of both the illusion we believe to be 'real' and the way this illusion is generated and manipulated to imprison us in a false reality. The so-called 'mysteries' of life dissolve with every page. David Icke's narrative, supported by Neil Hague's superb illustrations, will change the reality of everyone who has the courage to read it. 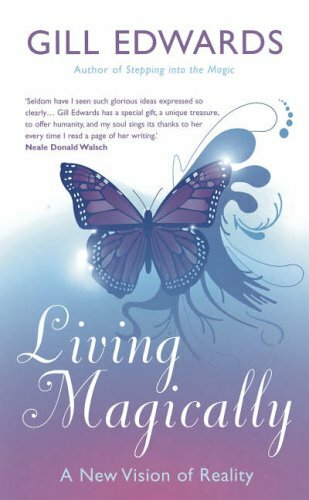 "Living Magically" is a book that has changed countless lives. Gill Edwards, Britain's leading spiritual teacher, draws upon mystics, scientists and channelled sources to challenge our 'commonsense' assumptions about the world and provide a startling new vision of reality - a vision which can transform our everyday lives. In this lively and inspiring guide to the tools and techniques of metaphysics, Gill Edwards outlines a spiritually-based psychology for the times that we live in. 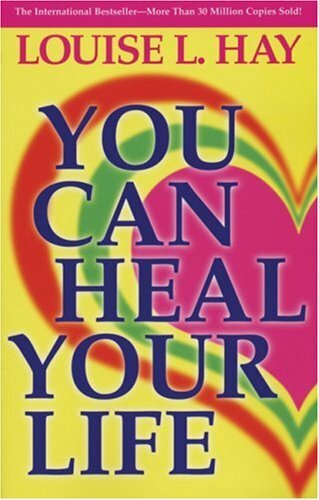 Taking a practical self-help approach, "Living Magically" will help you to: rediscover your inner wisdom; break through your fears, blockages and limitations; let go of the past and reach for the future; grow through love and joy, rather than pain and struggle; heal your inner child; 'Listen to the whispers' from your Higher Self; and make your dreams come true. If you have a dream, you can make it come true. You just have to understand the basic laws of reality creation - then get out of your own way, so that the Universe can deliver its gifts. In Life is a Gift, Gill Edwards helps you to clarify and focus on what you desire, align your desires with your beliefs and expectations, and let go of anything that blocks your energy flow. 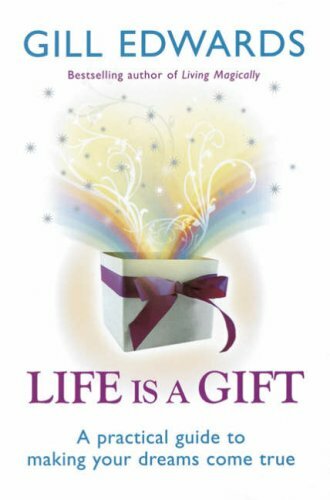 Life is a Gift is a practical guide to aligning with the forces of the Universe to make your dreams come true - for greater success, good health, loving relationships, finding your ideal job or home, attracting a soulmate, creating a work of art or simply finding inner peace. According to prophecy, the fifth sun or fifth world of the Mayan calendar moves into a higher octave of vibration, or ascension, on December 21, 2012. This date represents a 'gateway' of planetary development that will open humanity to new ways of living and new worlds of opportunity. Ancient traditions have foretold that our successful passage through this gateway depends on the 'fifth root race' - new stock in the human gene pool - destined to help us through the exciting and massive changes ahead. 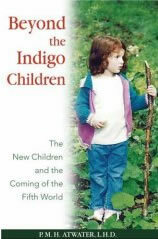 In Beyond the Indigo Children, P.M.H Atwater illuminates the characteristics of the fifth root race, the capstone being the extraordinary 'new children,' those brilliant and irreverent kids born since 1982. She explores the relationship of the new children to the prophecies in the Mayan calendar and other traditions, providing extensive background information about the seven root races (the sixth and seventh of which haven't yet appeared) and the great shifting of consciousness already underway. She reveals the connection of the seven root races to the seven chakras and how the fifth chakra - the chakra of willpower - will be opened for humankind as the new children grow to maturity. A few years ago, psychiatrist Brian Weiss was approached for treatment by Catherine, a 27-year-old suffering from anxiety, depression, panic attacks and phobias. What happened in the course of their sessions together was dramatically to change both of their lives. 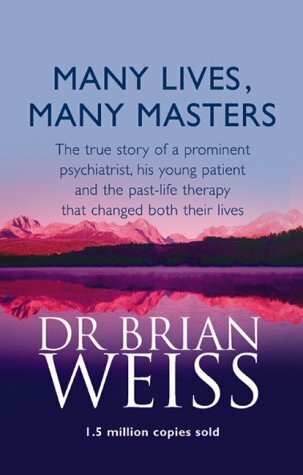 As a traditional psychiatrist, Dr Weiss was astonished and sceptical when Catherine, under hypnosis, began recalling past-life traumas that seemed to hold the key to her recurring nightmares and anxiety attacks. His scepticism was eroded, however, when she began to channel messages from the space between lives' from "the masters". These messages contained revelations about Dr Weiss's family and his dead son. Moving and inspiring, this book should be of benefit to psychiatrists, therapists and all those interested in past-life therapy. Once known only by an elite who were unwilling to share their knowledge of the power, 'the secret' of obtaining anything you desire is now revealed by prominent physicists, authors and philosophers as being based in the universal Law of Attraction. Fragments of The Secret have been found in oral traditions, literature, religions and philosophies throughout the centuries. 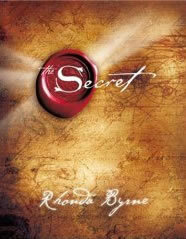 Beautiful in its simplicity, and mind-dazzling in its ability to really work, The Secret by Rhonda Byrne reveals the mystery of the hidden potential within us all. By unifying leading-edge scientific thought with ancient wisdom and spirituality, the riveting, practical knowledge will lead readers to a greater understanding of how they can be the masters of their own lives. A new edition by Shakti Gawain of this practical guide to exercising your innate ability to influence events to your advantage, thus creating what you want in and out of life. The audio demonstrates methods from the book. Deep relaxation techniques, asking for guidance, visualising goals, creating an inner sanctuary, and more. Esther and Jerry Hicks' first book presenting the teachings of the non-physical entity Abraham has drawn an extraordinary collection of endorsements from people keen to draw attention to the message that Abraham has to convey. Endorsements have been received from Neale Donald Walsch, John Gray, Wayne Dyer, Louise L. Hay, Jack Canfield and Christiane Northrup. 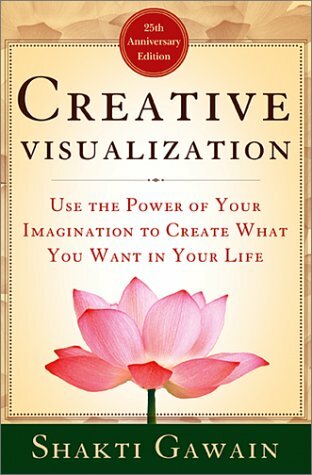 This book explains how our relationships, health issues, finances, career concerns are influenced by the Universal laws that govern our time/space reality and describes powerful processes that will help people manifest their desires and live the fulfilling life you deserve. 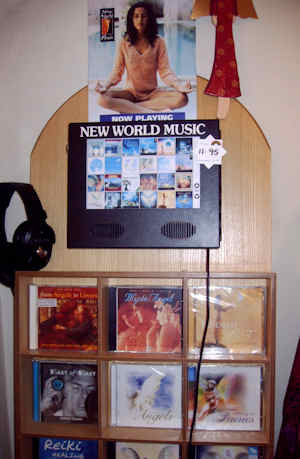 CDs are available in a range of soothing and uplifting styles of new world music to suit all your moods. Unwind from a stressful day, relax or meditate with your favourite tunes.